The WPA World Nine-ball Championship is an annual, international, professional nine-ball pool (pocket billiards) tournament, founded in 1990, sanctioned by the World Pool-Billiard Association (WPA), and principally sponsored and organised by Matchroom Sport (who provide the event's official website, under the less specific name World Pool Championship). It is divided into Men's, Women's and Wheelchair Divisions, and is held in Doha, Qatar. The first World Nine-ball Championship was held in 1990. The event was organised solely by the WPA from this inauguration through 1999. In July 1999, Matchroom Sport attempted to get involved with the organisation of the event, but their bid failed. 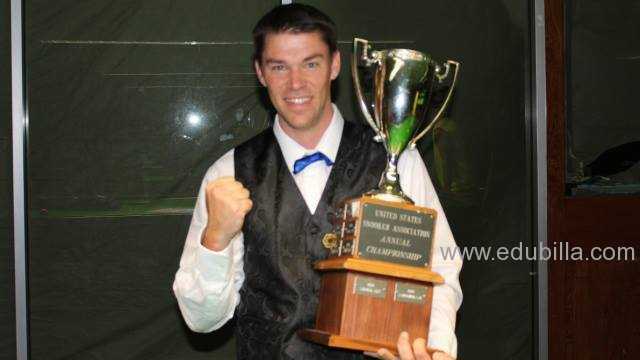 The WPA event was played in Alicante, Spain, and won by Nick Varner of the United States. 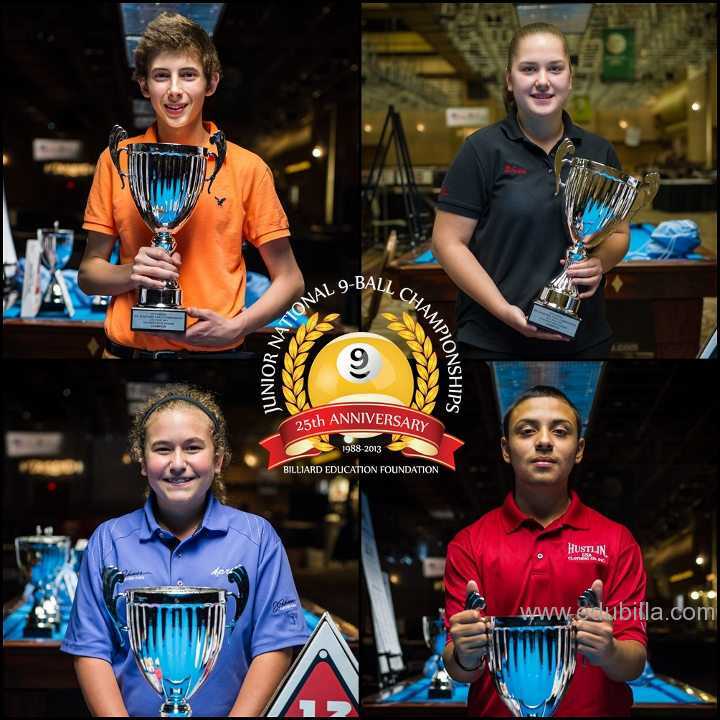 Broadcast on ESPN, it was the first pro nine-ball championship to be televised. 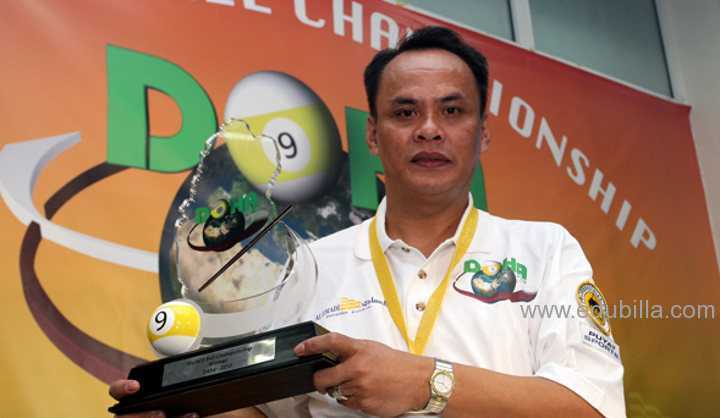 Matchroom, meanwhile, instead organised what it called the World Professional Pool Championship, a competing and non-WPA-sanctioned event in Cardiff, Wales, which was won by Efren Reyes of the Philippines. The event remained in Cardiff through 2003. In 2001, the number of competitors in the Men's Division was increased to 128 and a Men's Division first prize raisedto US$65,000. The 2004 and 2005 events were held in Taiwan, with a Men's Division first prize of $75,000 as of 2004. The 2005 tournament saw two rules changes: Last-64 and last-32 matches were extended to race-to-10 format, and the pockets on the tables were narrowed, to make the game more difficult. In 2006, the Philippines became the host country for two years. All matches became alternating-break all the way from the group stages to the finals. Men's Division first prize escalated to $100,000. In 2007, the event ran from 3–11 November, and Daryl Peach of the England was the victor. Because of the global late-2000s recession the championship did not reappear on the calendar in 2008; for some time neither Matchroom nor the WPA released any predictions regarding its reinstatement, and no 2008 event was held, either. 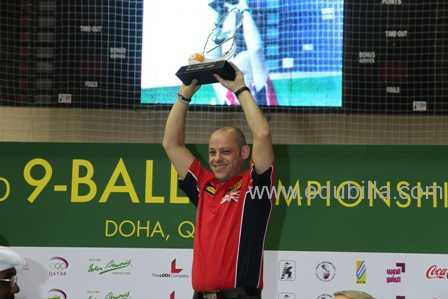 After this two-year hiatus, the tournament returned as the 2010 WPA World Nine-ball Championship, 18 July, in Qatar, and is expected to recur in Doha until further notice. Francisco Bustamante of the Philippines won the 2010 title.